Say Hello to our brand new VW campervan for hire, MALIBU! We needed another van to partner our other 3 vans, so we went out looking for something to help with the demand for a fun campervan holiday. MALIBU is VW T6 California, the same as DEBS. Named after California’s beaches, MALIBU is a lovely shade of bamboo green and looks great all year round. It features a sliding door, which makes for easy access, especially if you’re taking the whole family on your travels. MALIBU has plenty of space inside. You can fit a family of 2 children and 2 adults, or 3 adults. 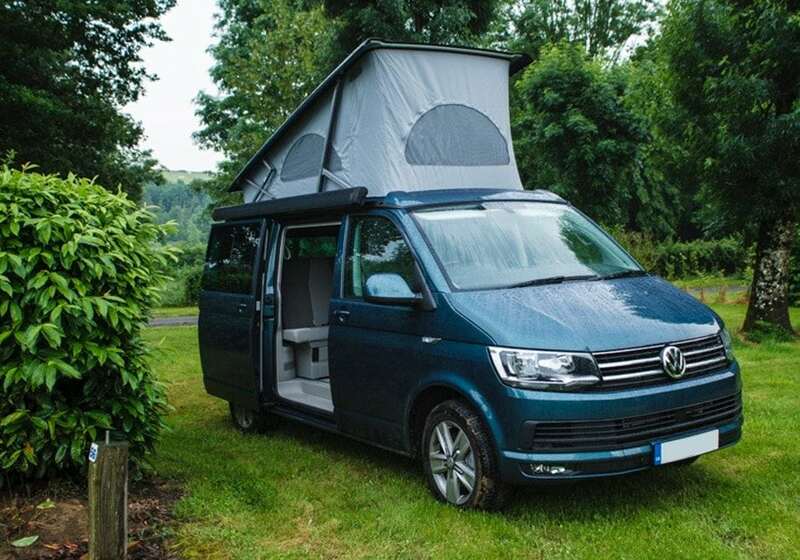 With a handy pop up roof, this T6 Campervan is suddenly transformed to give you even more space. Pull up at a picturesque spot and fall asleep under the stars. Aside from all of this sleeping space, this camper also has a kitchen inside with a gas hob, fridge and plenty of utensils! Here you can cook up some delicious meal with ease. To give an idea of what you can do, here are our top tips for cooking in a campervan. To find out more about what you can expect in MALIBU, you can browse our page showing you all the details on what is included with our campervan holidays. Take our New VW Campervan for Hire travelling from just £69 per day! 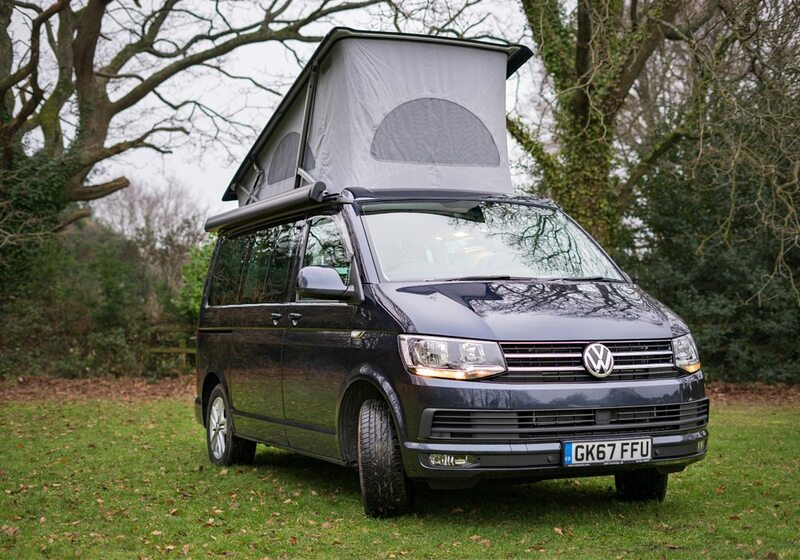 You can explore Dorset, Hampshire & the New Forest in this wonderful T6 VW Campervan. 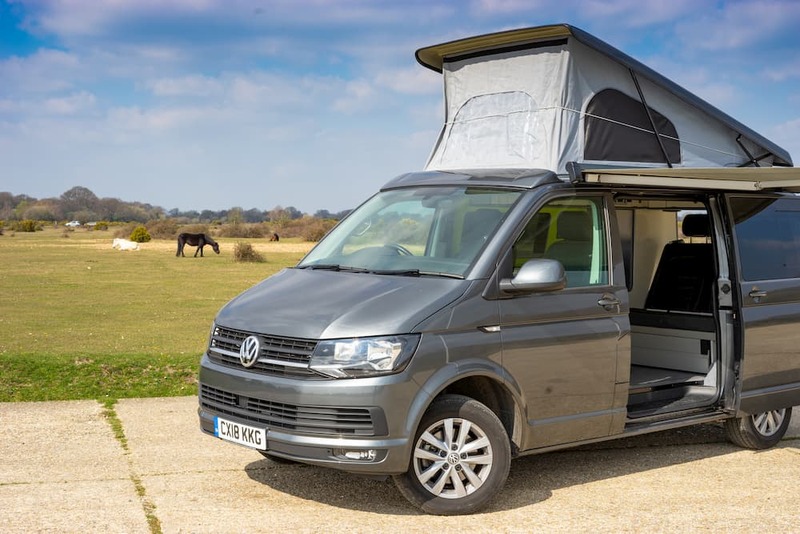 Browse our other 3 VW Campervans below.